Official Israel's message to Israelis worried about a possible chemical attack by Syria and its allies in the wake of a U.S. attack on Bashar al-Assad's government has been to remain calm – but drivers could be forgiven if they panicked a bit. One result of the Syrian crisis gas been a huge spike in oil prices, over worries that the Middle East could be thrown into turmoil – and as a result, Israelis are going to be paying significantly more for gas beginning next week. For drivers, the timing of the arrival of American navy warships off the coast of Syria last weekend – which sparked rumors of an American and Western attack on Syria – couldn't have come at a worse time. Gas prices in Israel are adjusted at the end of the calendar month, which means that prices will be changing at midnight Saturday. 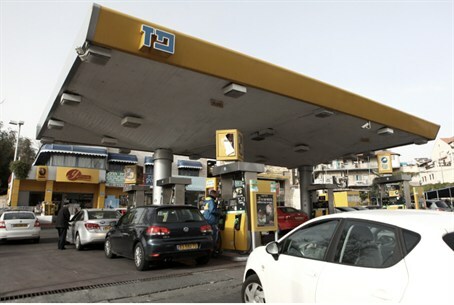 In the wake of the oil price rises in recent days, Israelis will find themselves paying 25 agorot more per liter of gas. The new price for a liter 95 octane gasoline will be NIS 7.85, which comes out to $8.49 per US gallon – the highest price ever in dollar terms, although prices in shekel terms were higher last September (although with the lower value of the shekel exchange rate at the time, the dollar price for gas was a bit lower). The increase, announced Thursday by the Economics Ministry, caught everyone by surprise, as experts expected no more than a 10 agora rise in the price of gas.